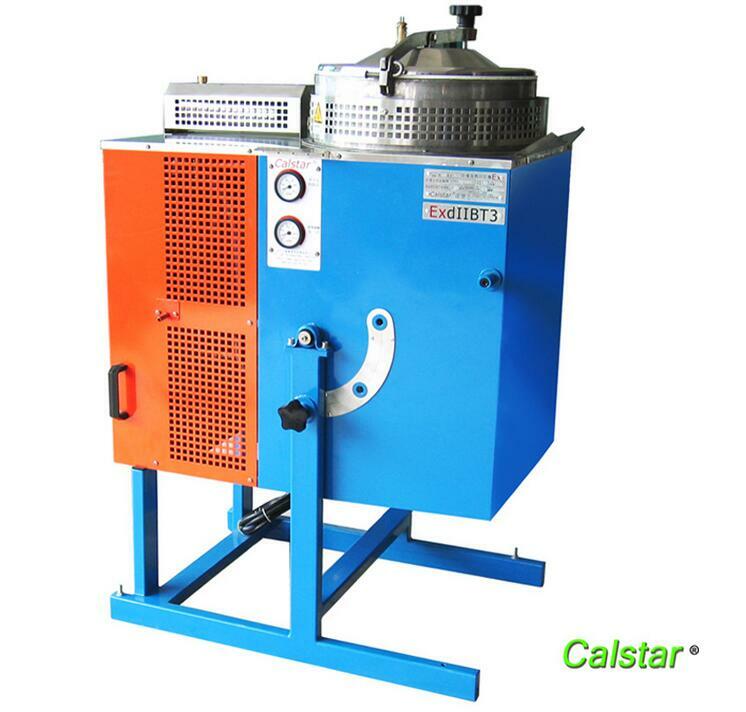 Propyl bromide recovery machine is a special equipment used for Propyl bromide organic solvent recycling. 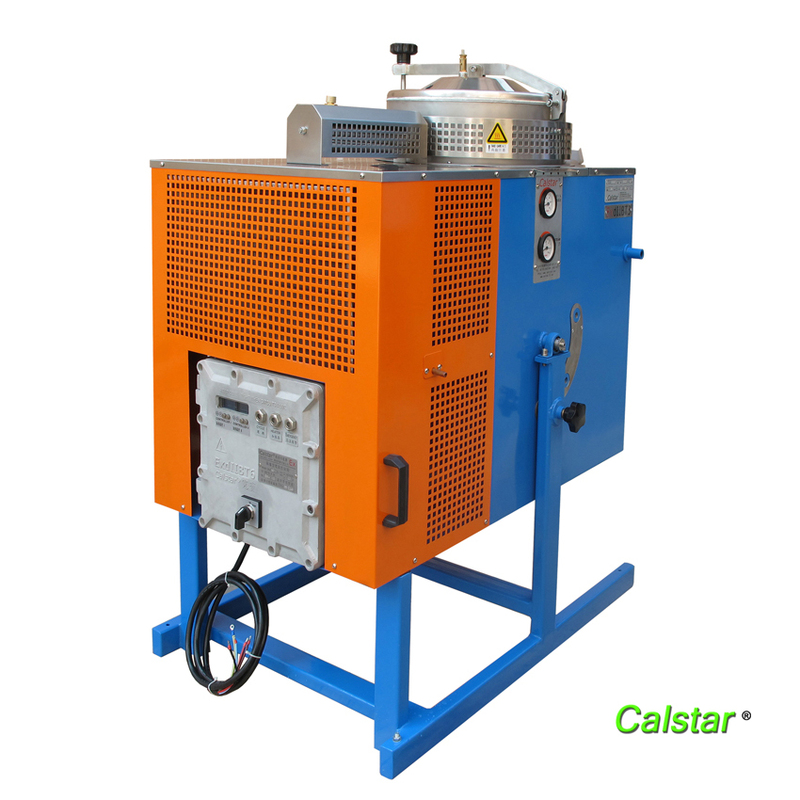 Propyl bromide recovery machine has a tilting-type air-cooled condensing system and is manufactured according to Chinese explosion-proof directive (CNEX) and European directive (ATEX). 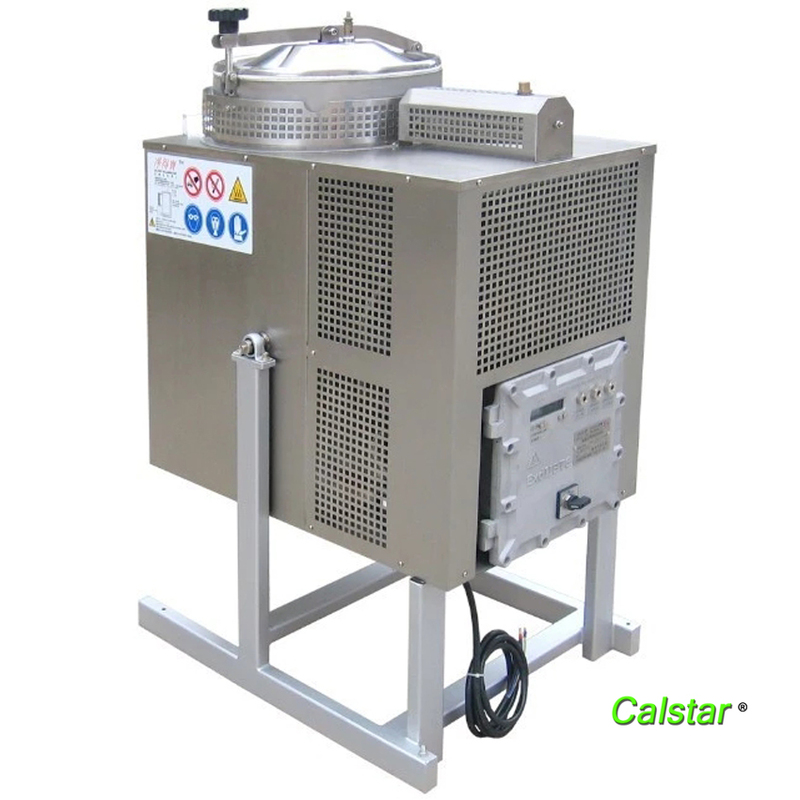 Propyl bromide recovery machine is a Metal cleaning agent.It can clean the metal The organic solvents are recycled through distillation and cooling.Calstar create a industry recycling system to reclaim valuable liquid chemical wastes,suach as solvent and Propyl bromide.It is suitable for a medium amount of organic solvent to recycle.The contaminated solvents will be recycled after a few hours. Pipeline cleaning solvents for vehicle spraying equipment and spray gun, such as: Acetate, ester, chloroform, tri-Chloro-Ethane,iso-propyl Alcohol Ethyl Ketone (MEK), petroleum solvent ,(Mineral Oil),naphtha, toluene, xylene, methyl ethyl ketone, n-butyl, mixture organic solvent.;etc. ; Solvents for cleaning the petrol remains in engines. Organic solvents and paint-mixing solvents for cleaning the production equipment, vessels and bottling equipment, such as:Acetate, Ester,Chiorform Tri-Chloro-Ethane, Iso-Propyl Alcohol Ethyl Ketone (MEK),Petroleum Solvent ,(Mineral Oil),naphtha, toluene, xylene, methyl ethyl ketone, n-butyl, mixture organic solvent.and so on. Organic solvents for cleaning spraying equipment and paint-mixing, such as: naphtha, xylene, methyl ethyl ketone, acetone andso on. 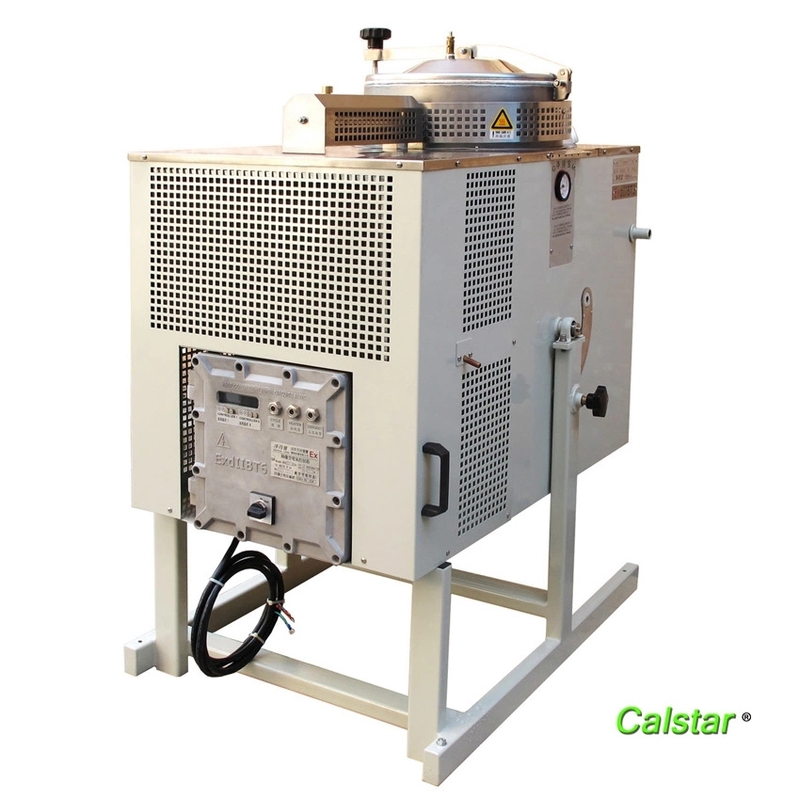 Calstar ® Solvent Recycling Equipment is used to recover organic solvents form liquid solutions, not suitable for recycling gaseous and solid-state materials.It can be widely used in all kinds of cleaning works, where lots of organic solvents are used, such as: Detergents for cleaning spray-guns; trichloro ethylene and toluene solution for cleaning electronics; IPA and anhydrous ethanol for cleaning lens; naphtha in printing industry. Looking for ideal Propyl Bromide Recovery Machine Manufacturer & supplier ? We have a wide selection at great prices to help you get creative. All the Propyl Bromide Recovery Equipment are quality guaranteed. We are China Origin Factory of Propyl Bromide Recovery Unit. If you have any question, please feel free to contact us.